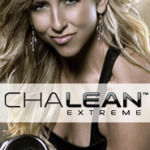 ChaLEAN Extreme Reviews: No Burn Out with Chalean! I’m glad you decided to contact me regarding your results from Chalean Extreme. I agree that the program is designed in a way that keeps you interested and challenged throughout the 90 days. At the back of the fitness guide, there is also a “Lean for Life” rotation to continue your training if you have not yet seen that. And also, don’t forget about the Chalean Extreme Deluxe DVD. 3 more workouts that you do not get with the base Chalean Kit. Get Lean Intervals, Fat Burn Challenge and an extra ab routine. The two cardios are challenging to say the least! Please stay in touch, and thanks again for the review. If you would like to submit your Chalean Extreme Review, with or without photos, please feel free to email them to me at robert@extremely-fit.com. PreviousJuices, Smoothies, and Coffees – Taste Good, but are They Good For You? Chalene is also coming out with three new CLX videos. I saw the promo on Beachbody the other day. It looks like at least one of them is on the exercise ball. Very neat, will look forward to those as well. I’ll be sure to get them up here at the store as soon as they are released. 🙂 Great job on CE so far!